Even though I live in New Paltz and know all the nooks and crannies of the amazing Shawangunk Mountains, I love it when I get to venture out into other amazing parts of the Hudson Valley. Lately, I've been obsessed with Cold Spring. It had been a long long time since I had taken a couple there and once I did... I couldn't stop. Especially for those couples who really want to bring their dogs. It's perfect! And Emily + Michael's Husky's were in heaven! 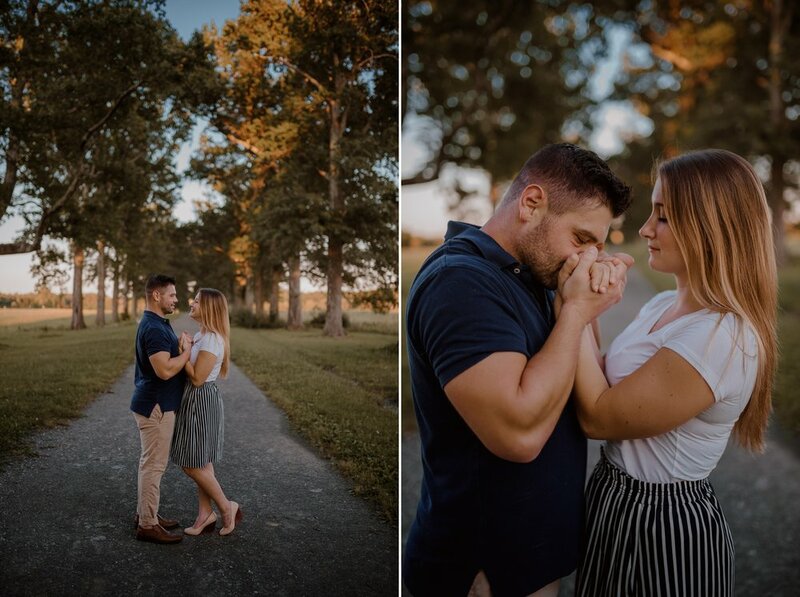 There is something really magical about Engagement Sessions, or as I like to call them, Connection Sessions. Watching two people enjoy a couple hours together, with no phones, no distractions, and beautiful views... it's hard to not enjoy it. This particular spot in Cold Spring is off the beaten path. It truly has it all. The forest path eventually opens up to a sandy beach at the edge of the Hudson River, with overgrown patches of grass, fallen trees, branches that have beaten by the river and turned to driftwood, and big open skies as far as the eye can see. Every once in a while, a boat comes by reminding you how remote you really are. I love documenting Engagement Sessions. This is when I first get to know my couples, months before their wedding, with no time restrictions, nowhere to be, just chatting and getting to know each other. 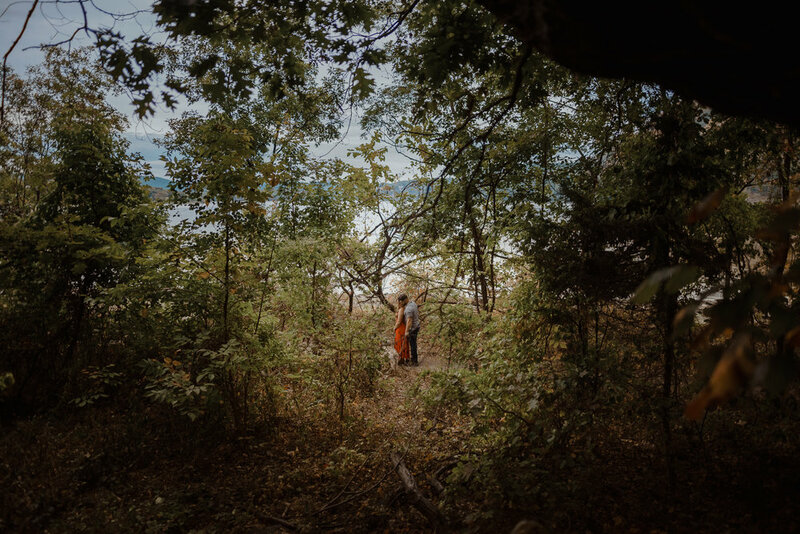 When I document engagements, I tell my bride and grooms to pick a location that really means something to them. Somewhere that is meaningful enough to stand the test of time. But other times, my couples just want to be out in nature and so they defer to me to pick their engagement session location. That is when I can dig into my arsenal of amazing Hudson Valley locations and chose something that suits their personality. When my bride and groom want to include their dogs, I have specific areas that I usually gravitate towards for their engagement pictures. I don't want to choose a location that would be too crowded, as then the dogs get distracted. I also don't want to choose an area that is too urban where they don't feel like they can relax. 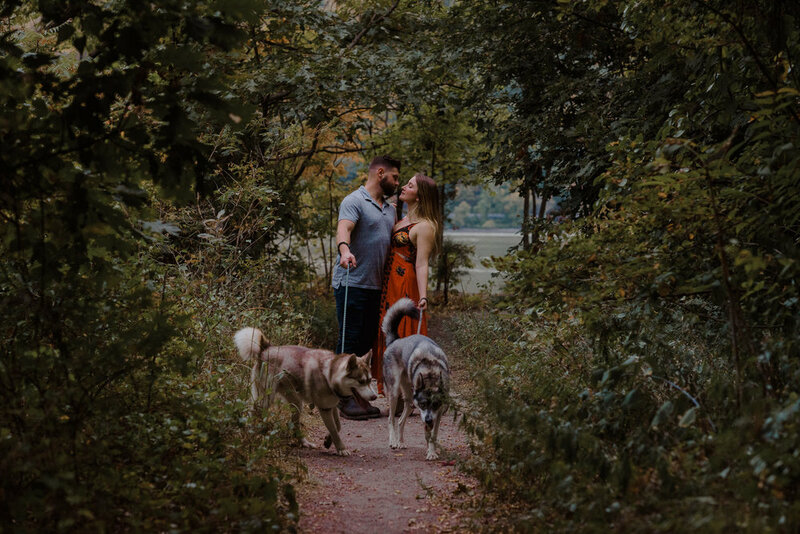 Being out in nature is always my first choice for Engagement Sessions with dogs. 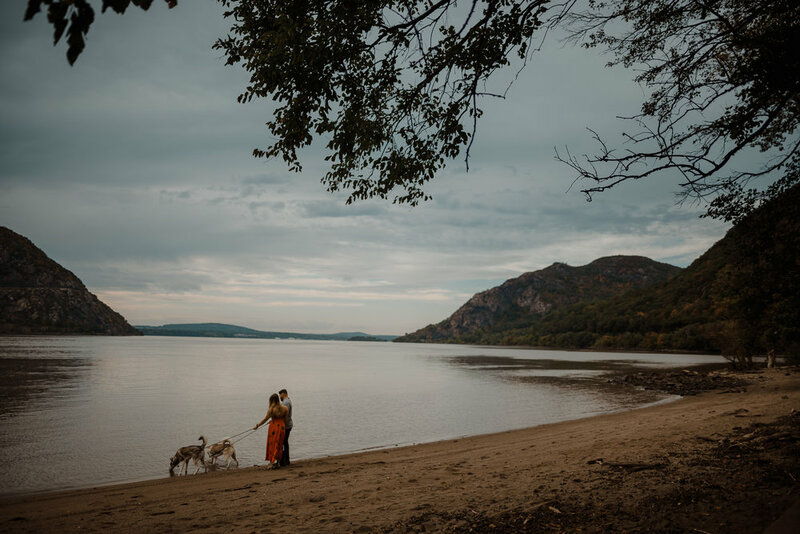 This Cold Spring Engagement Session with dogs was easily one of my favorites. The couple was so sweet and so amazing, their dogs were so well behaved and absolutely gorgeous, and the weather couldn't have been better. 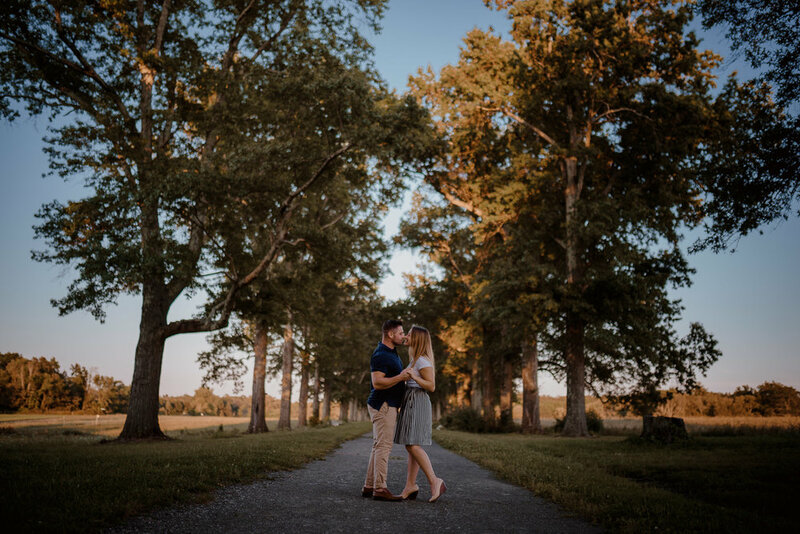 As far as engagement photography goes, this session is up there as one of my favorites.